Chocolate making is easy and quite complex at the same time. 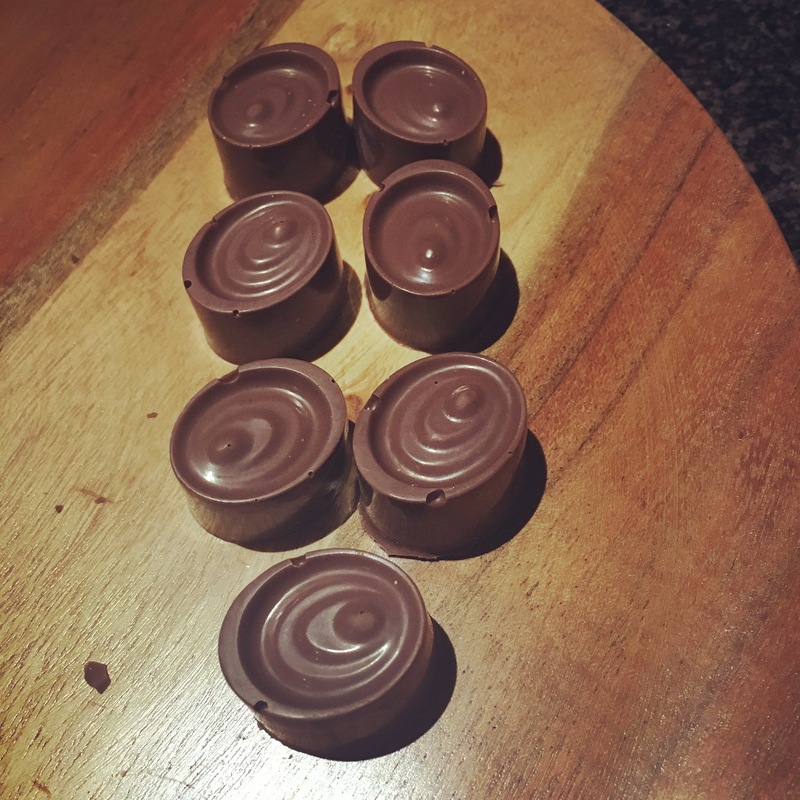 In my very first blog, I promised to take on the chocolate making challenge. Why? Because my home country, Ghana, is the second largest producer of cocoa in the world but does not manufacture what is considered good quality chocolate. I felt that Ghana (and the rest of the cocoa producing countries on the continent) needed to do more in terms of processing and making good quality chocolates for export. But I didn’t just want to talk the talk. I wanted to walk the walk. So I embarked on a journey of learning chocolate making. The first step I took was to sign up for a 7 day bean to bar chocolate making course in Ecuador. It gave me a great overview of chocolate-making process from the harvesting, fermenting and drying of cocoa beans to grinding and refining beans into a smooth liquor. When I came back from the trip I was ready to make some chocolate. Unfortunately, I couldn’t find any chocolate making equipment South Africa, so I had to order them from a supplier in the US. The chocolate alchemy is a one stop shop for just about everything you need to start making chocolate: you can buy cocoa beans, equipment, other ingredients and get free recipes and video tutorials on how to make chocolate. I studied the material on their website and ordered equipment and even cocoa beans from them. Armed with some knowledge and the basic equipment, I proceeded to make my first batch of dark milk chocolate. 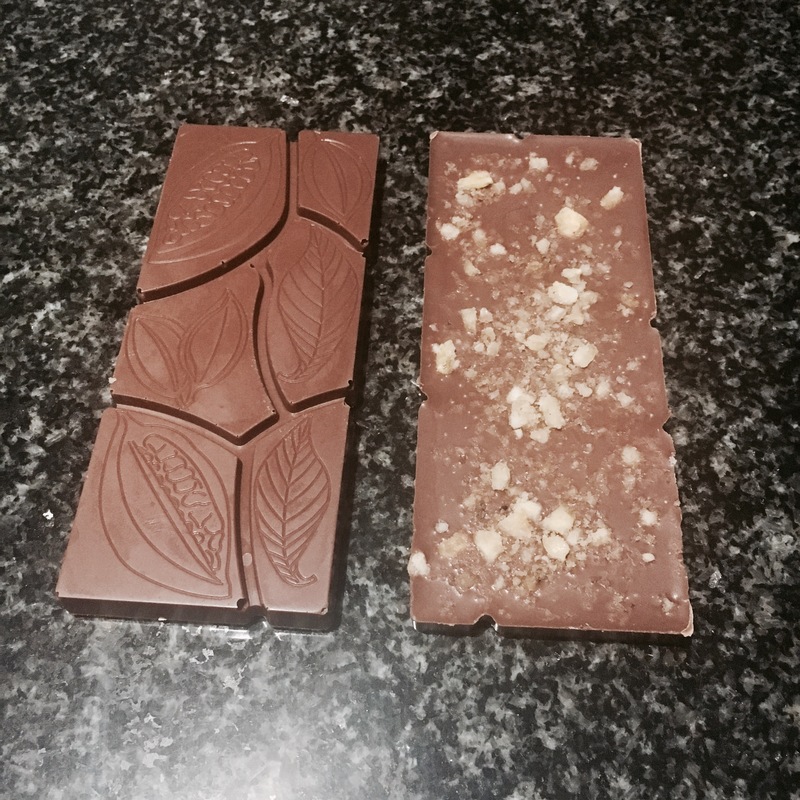 The results of my first attempt at making chocolate from the bean. Not only have i made chocolates (4 trials so far with Ecuadorian, Ivorian and Tanzanian beans), but I have organised tastings for friends and colleagues. For the most part, they have been highly impressed with the smooth texture, moderate sweetness and creaminess. Most seemed to prefer a flavoured bar e.g. with coconut flakes or coffee as opposed to a plain dark milk bar. For a person who is not gifted with culinary talents, I have surprised myself with my genuine interest and safe to say, obsession with chocolate making. Chocolate is very delicate. Good chocolate will melt from about 30 degrees. This is potentially very challenging given our hot and humid climates. It also means steep financial costs in air conditioning and other infrastructure to preserve the quality of the chocolate. Chocolate makers in Africa have to face the reality that the chocolate market lies outside the continent. See my previous blog on the top 10 chocolate consumers. So, not only would chocolate makers have to produce fine chocolate under difficult circumstances but they have to export it under even more difficult circumstances. That is, shipping in a manner that preserves the integrity of the chocolate. I imagine this to be complicated and costly. Cocoa from the African continent (mainly a variety called forastero) is regarded as “bulk cocoa” or “cheap cocoa”. This may be the biggest challenge for a chocolate maker with intent to make what is considered “fine chocolate”. African cocoa, they say, generally lack the fruity and bright flavours inherent in Latin American and Caribbean cocoa beans. There is no doubt that African cocoa is highly sought after and because they tend to have a higher percentage of cocoa butter, they sell for a premium on top of the market price. The problem is that the buyers are the mass chocolate producers: cadbury, mars, kitkat, etc. They use very little cocoa in their products so its not important to them to have flavourful cocoa. Their chocolates get their flavours from the excess sugar, milk and other additives. Personally, I feel that the categorization of African beans as cheap or low quality is unfair and a lot can and should be done to improve the perception of African beans. There is an added complication for aspiring artisan chocolate makers in Ghana, particularly where all cocoa grown has to be sold to the government. Imagine that a chocolate maker in Ghana may have access to a family owned cocoa farm but they cannot access those beans legally. All beans have to be sold to government or a licensed buyer. If I had a farm, I would have to sell the crop to Government and then buy it back from them at a ridiculous price. Its a sad state of affairs that keeps Ghana at a level of raw commodity exporter and not a manufacturer. All these are serious challenges. Are they insurmountable? I dont think so. As long as there remains a huge demand for chocolate (an industry that generates a $100 billion annually), chocolate making in Africa should be a profitable venture. If governments would step up to the plate and create an enabling environment that supports entrepreneurs and small and medium sized businesses as opposed to the huge multinationals, we can make headway in our development trajectory. I certainly hope I can be part of this movement. If you would like to follow my journey, check out my Instagram page @talkingdrumchocolate. Photos are my own except where specified otherwise. Posted in Arts, Places and Culture, Economic Development, Entrepreneurship and tagged artisan, bean to bar, cacao, Chocolate, chocolate maker, Cocoa, cocoa bean, ecuador, Food, forastero, Ghana. Bookmark the permalink. Beautiful article Nana!! I found most sad the part about the government of Ghana controlling cocoa farms owned by individuals, yet processed cocoa exports from Ghana are still low. I once saw a sad video where aged Ivorian cocoa farmers saw & tasted chocolate for the first time in their lives. The joy in their faces was quite sad to see. Thanks Amanda!! The politics around the cocoa sector is actually quite scary. Even the World Bank failed to get much reform in that sector. The government profits immensely from selling cocoa beans and farmers get a small fraction of the market price. It’s all very criminal.